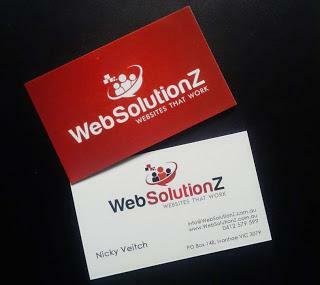 We're very pleased to announce that Nicky Veitch, Principal of WebSolutionZ, has just become the first Joomla! Certified Administrator in Australia! Check out Nicky's personal blog post about the Joomla! World Conference 2016 and the Certification experience. In simple terms, a Brute Force attack is an automated software hack that attempts usernames and passwords over and over, until it can get in. Recently there has been an increase in the use of Brute Force attacks against Joomla! websites. If your current Joomla! website was built between about 2011 and 2013, it was probably created using Joomla! 2.5x which was the latest stable version available at the time. However, software is always being improved and updated, and Joomla! operates according to an official release cycle which includes Long Term Support (LTS) releases that are officially supported for about 4 years, and Short Term Support (STS) releases which are only supported for a matter of months. 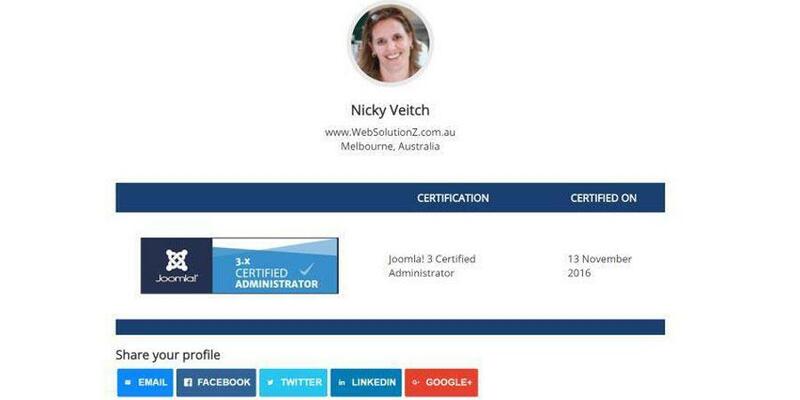 WebSolutionZ has been approved by the official Joomla! Resources Directory as a registered service provider! If you need assistance with your web presence or website, please contact me. Once your Facebook Page is set up and you are an Admin, there are a couple of things to remember.